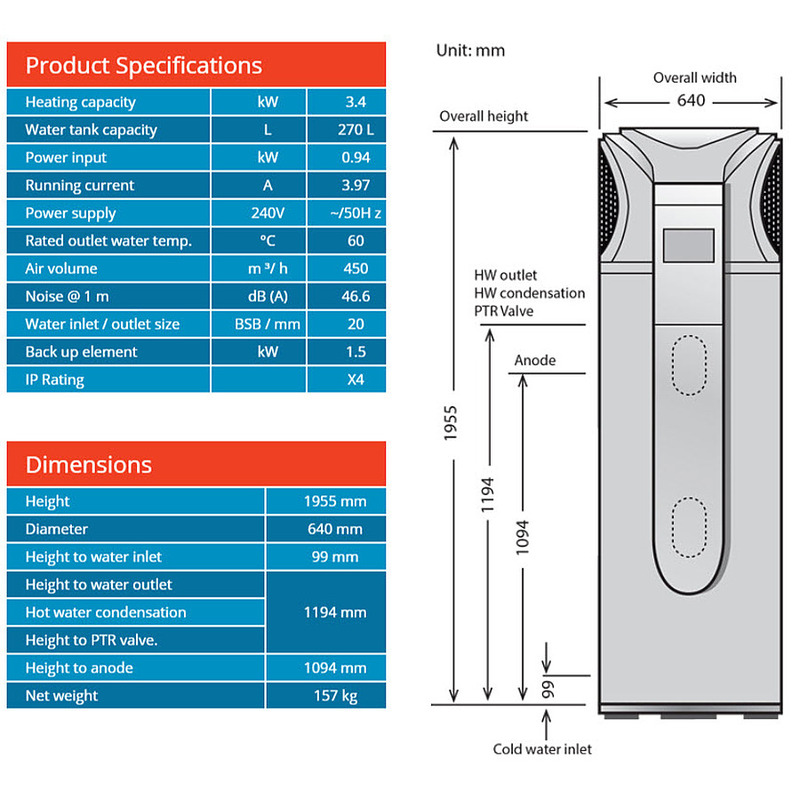 This great value heat pump, often referred to as an Air to Energy Hot Water system, is an excellent family sized model. Local Service & Support - A team of plumbers/electricians are available for any after sales needs here in Perth. Economical - Delivers 4 intelligent operating modes to adapt to all situations, including a hybrid mode for when additional guests are staying over and a vacation mode for when you are away on holidays. 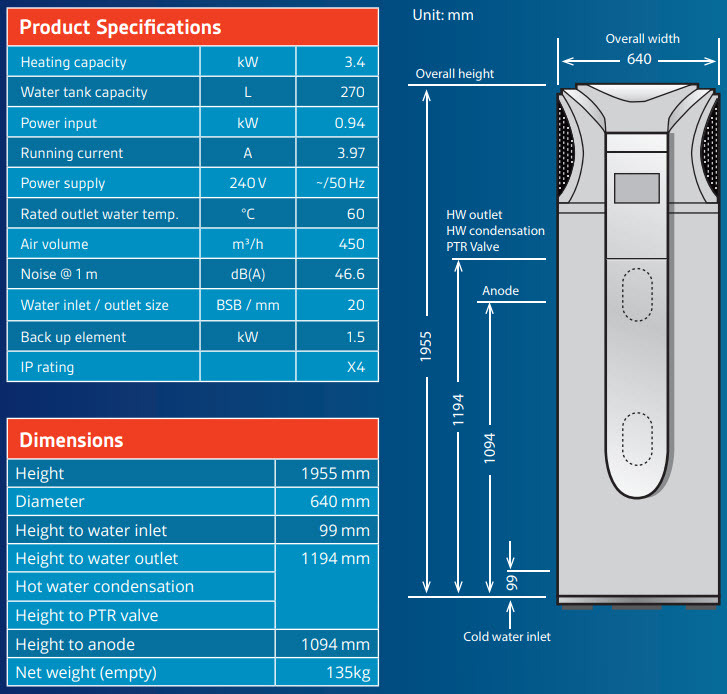 Optimal Design - The iStore features an external wrap around the heating coil, which provides maximum thermal energy transfer without the need for anti-corrosion connections. 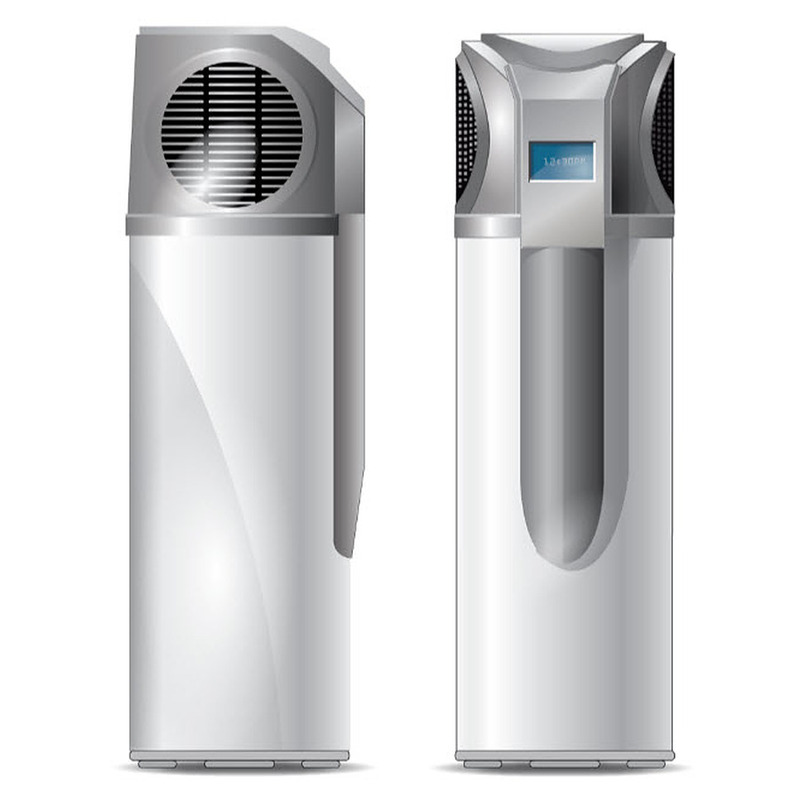 Low Consumption - The iStore consumes 1000W of energy per hour during the air-to-energy process, which represents 3000 to 4000 watts in total for an average heating cycle of 3-4 hours. Money & Energy Savings - Heating water for the home accounts for up to 25% of the total energy usage for the average Australian household. 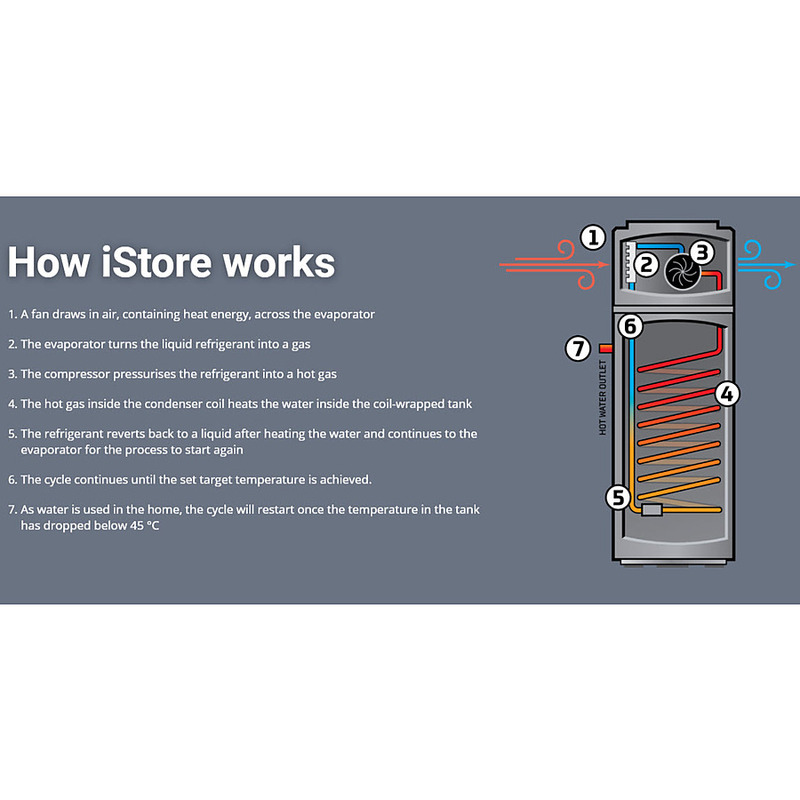 iStore reduces water heating consumption by 2/3, while reducing CO₂ emissions by 4 tonnes.